Home | Ethylene is Explosive! It’s rare, but it’s real. 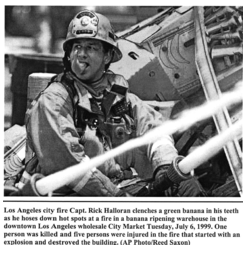 Ethylene explosions in Ripening Rooms Are an Event to Avoid. If you’re a fruit ripener, then you are aware of the flammable properties of one of our routine tools: ethylene. Although a naturally occurring plant hormone, ethylene can be dangerous, especially when handled incorrectly. Innovators like Catalytic Generators Australia in Melbourne have made great strides towards improving the safety of ripening and ethylene use, but it’s always advisable to maintain a healthy sense of caution when working with flammable materials. Ethylene is highly explosive at concentrations of 27,000 parts per million. Only 50 ppm will trigger many fruits to ripen (100-150 ppm is the recommended level for most). Our ethylene generators and Ethy-Gen® II Ripening Concentrate form a system that, when used as directed, produces these lower concentrations (less than 1,000 ppm) of ethylene required for ripening. Therefore, Catalytic Generators are the safest commercial form of ripening; they produce small, controlled amounts of ethylene and when used as directed, they cannot produce explosive amounts of ethylene. That is why so many fresh produce companies use our generators rather than gas (pure ethylene) cylinders. We have had our system thoroughly tested for maximum ethylene production; when using our generator and Ethy-Gen® II Ripening Concentrate in rooms that are 43 m3 or larger, there is NO chance of ethylene explosion. So don’t take chances with your ethylene application…take ethylene serious and use safe ethylene application systems, like ours! Here are a few of the explosions that have taken place over the last 40 years. The common denominator is each case: gas (pure ethylene) cylinders. Notice the timeline….why are there less accidents now? Because the use of ethylene generators for fruit ripening is the standard! Fewer and fewer facilities use dangerous ethylene cylinders. One man was killed and 14 others were injured in an explosion at a plant used to treat bananas. The explosion resulted from a reaction between chemicals used at the plant. The picture above shows the result of a spark igniting what was too much ethylene in a ripening room. An ethylene cylinder, believed to be empty, was left open in a ripening room. Actually, it was determined later that the cylinder was not empty, and it continued to release ethylene into the room. The result was an ethylene level that exceeded the LEL of 27,000 ppm, and something, likely from a door opening, caused a spark, which ignited the explosion. Fortunately, this explosion did not kill anyone…they were on their lunch break. But part of the Farmer’s Market was demolished. The fire marshal said “it’s an absolute miracle that no one was killed” in this blast caused by cylinders of ethylene gas. Fire officials believe the tomato packing supervisor was simply changing ethylene cylinders when this explosion occurred. This explosion shows that just a spark will ignite high levels of ethylene, and that extreme care must be taken with cylinders to ensure that they do not release too much ethylene into the ripening area. 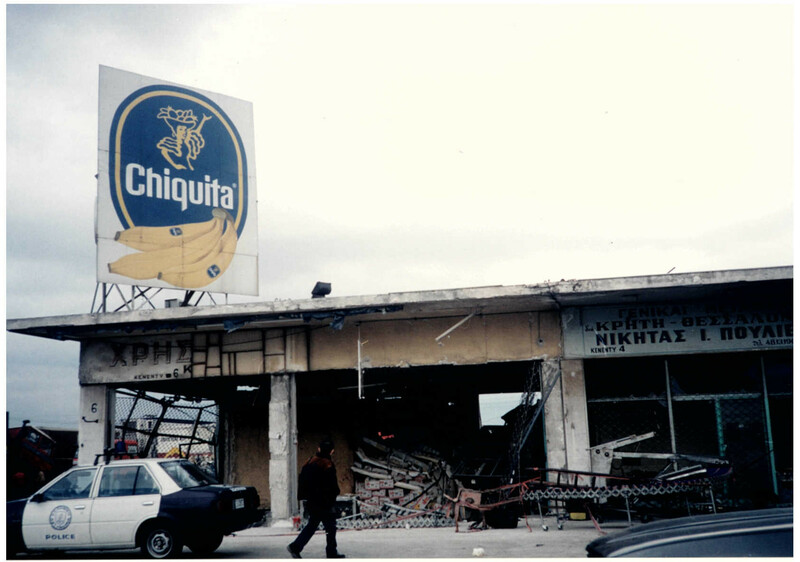 An explosion took place on March 19, 1997 in the Athens Central Fruit Market. Two people were killed as a result of leaking ethylene cylinders in banana ripening rooms. Below is a picture of the scene.